What Does Mark 12:28 Mean? From the beginning of His ministry to the day of His death, the controversy between the liberty of the gospel of God, and the restrictive traditions of Judaism, raged between the two parties. As the day for Christ's betrayal and crucifixion drew ever closer, the various schools of Judaism conspired to indict the Lord Jesus, under a civil or religious statute. They plotted together, to make a prolonged attack on the Lord Jesus Christ, in an attempt to condemn Him to death, under Jewish or Roman law. 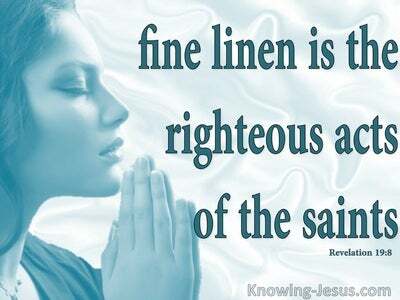 One group of legalists were the Sadducees, who were extremely liberal in their politics. They liked to rationalise everything and anything.. and despite Old Testament teachings on the bodily resurrection, they ridiculed the possibility of the resurrection of the dead. 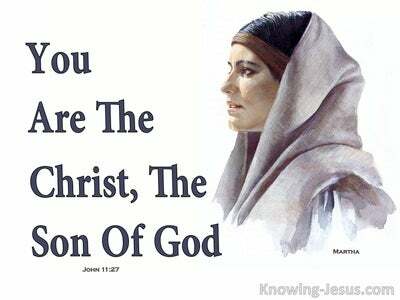 And so, one day, they tried to trick Jesus with an ill-considered argument, about a hypothetical woman who married seven brothers, successively - each marriage, following the death of the former brother.. and demanded to know: whose wife would she be in the resurrection? Their aim was to make a mockery of the doctrine of the resurrection, and to cause Jesus to appear foolish and uneducated. 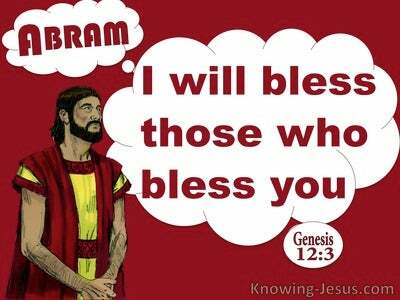 However, their deceitful and manipulative question was quickly overturned by Christ, who exposed how shamefully ignorant they were of Old Testament scriptures, and gave them a brilliant and biblically sound response. 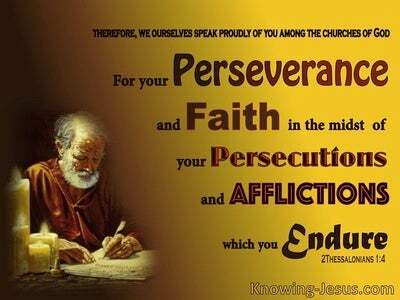 He exposed their lack of knowledge, and impressed those.. who were listening to the ongoing debate - of Christ's tremendous wisdom and His amazing grace. One of the scribes overheard Christ's inspiring debate, with these critical Sadducees, and was impressed with His knowledge and understanding of the law and the prophets. 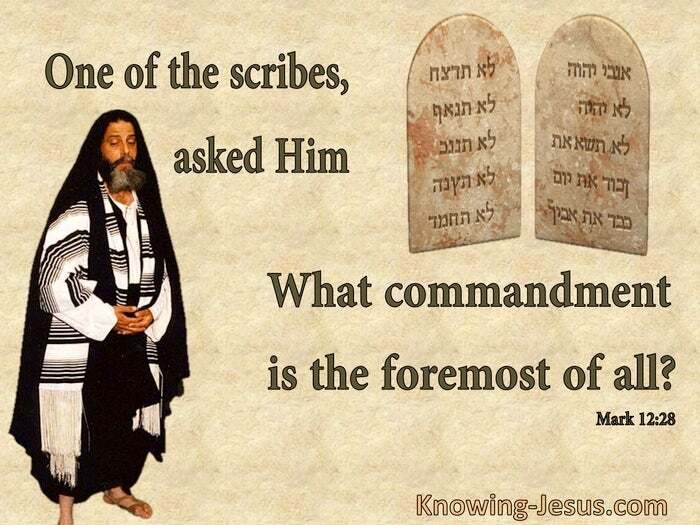 And he asked Jesus the long-debated question: of all the commandments, which command is the most important? 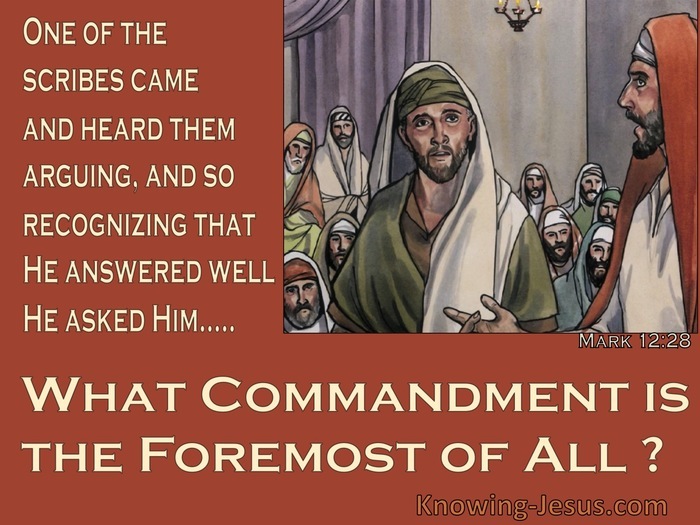 Whether he was collaborating with Christ's critics, or desiring to receive an honest answer, to this all-important question, is unclear, but it gave the Lord Jesus a beautiful opportunity to reiterate the most important commandment that God had given to Israel, through Moses - a command, which had been ignored and violated by these pious, legalistic, religious leaders - who had not only ignored God's message of repentance, but had also rejected the Lord Jesus Christ, Whom He had sent. The question that this earnest, young scribe asked the Lord Jesus, is a question that should be on the heart of all who have a reverential fear of God, and a desire to do His will - For this is the will of God, even your sanctification, and this is eternal life, that they may know You, the only true God, and Jesus Christ Whom You have sent.